It's another Telecast Thursday and this week I'm sharing some of my tips for constructing the Pick-a-Pocket purse. 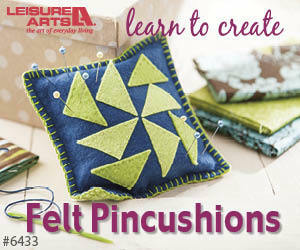 This free pattern can be found at www.allpeoplequilt.com, the American Patchwork & Quilting website. I've made several of these purses and decided to change it a bit this time. To help ensure that you pass quality control, check out the video for my helpful tips. Share your photos of your favourite purse pattern or photos of this specific one, if you've made it. Let me know your best tips for purse construction in the comments below. Welcome to another episode of Telecast Thursday! Today's video is for those of you who, like me, have a few WIP's in the house. You know, those quilt tops that you were so excited to create, but then got distracted by another project before you could quilt them. Okay, maybe I'm the only one who has more than 10 quilt tops waiting in the queue to be quilted (although I doubt it!). A few Easter quilts waiting for quilting - still. 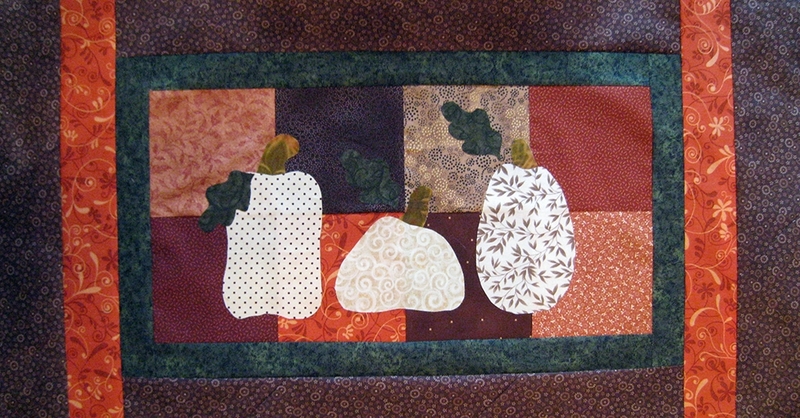 Pumpkin table runner needs a bit of quilting. Hearts Abloom still not quilted, but will be soon! While I used to feel guilty about all these not-quite-quilts-yet that are stacked up in my studio, I realized that there is a good reason why these haven't yet been quilted. Watch the video to find out what this reason is. I hope this video has made you feel better about the UFO's in your studio! Drop me a note to let me know how many you currently have.